I. 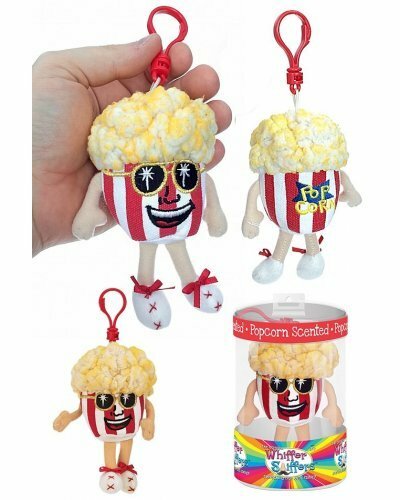 B. Poppin smells like fresh, buttered popcorn. 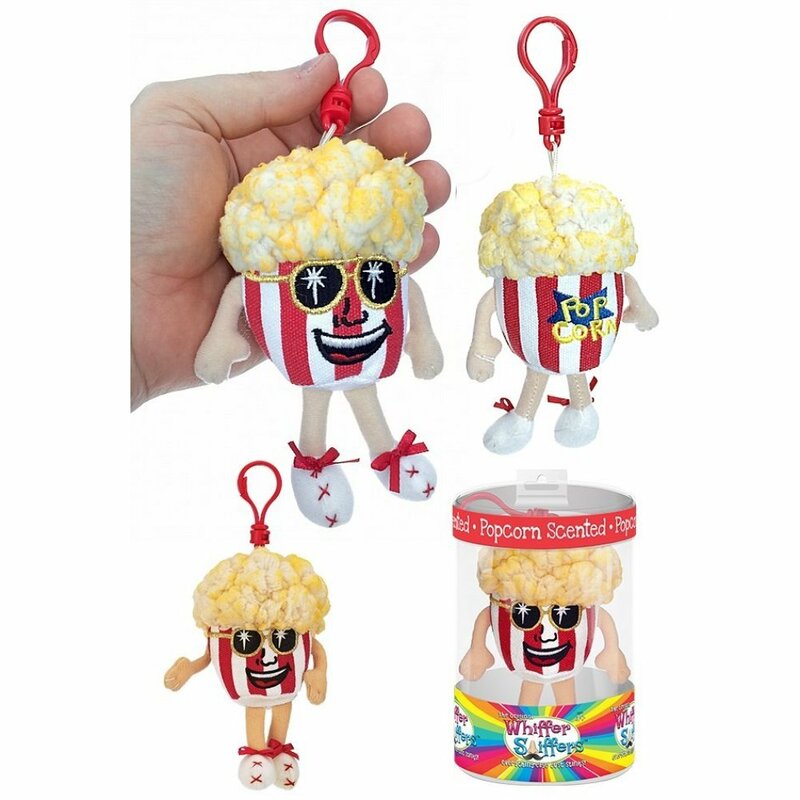 This cute, soft, Whiffer Sniffer scent will last for years! Poppin wears sunglasses and a classic red striped cinema bucket with fluffly popcorn hair. 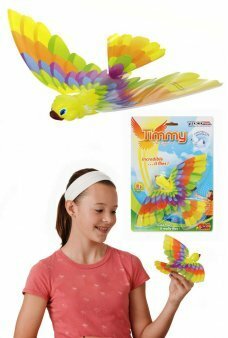 He comes inside a clear sealed package to help contain and preserve the scent and the adorable plush character. 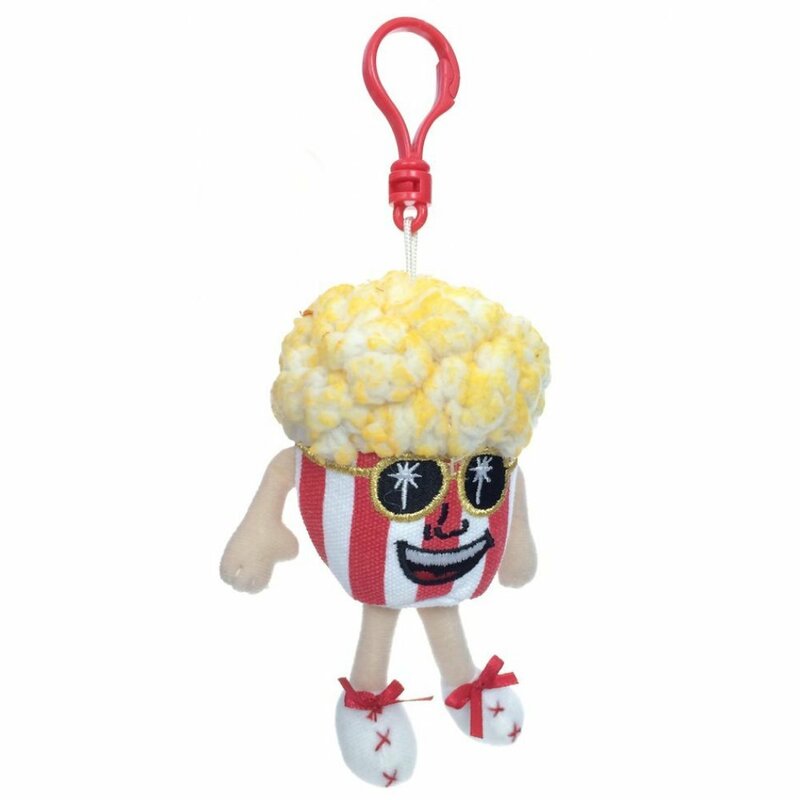 Just clip this delicious popcorn on your back pack or bag with the attached plastic hanger. 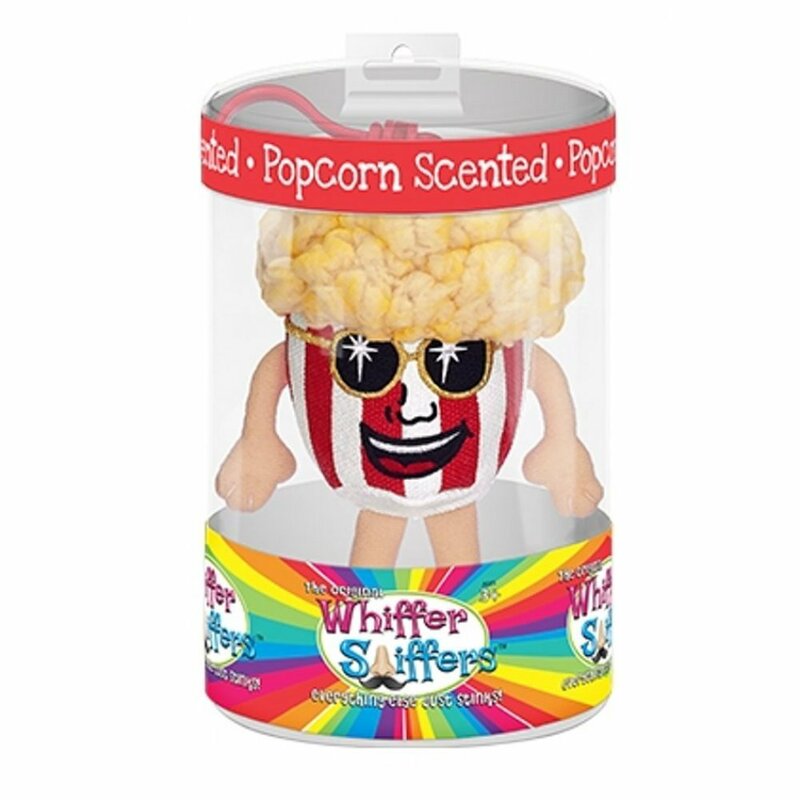 Collect all of the wonderful smelling Whiffer Sniffer characters!